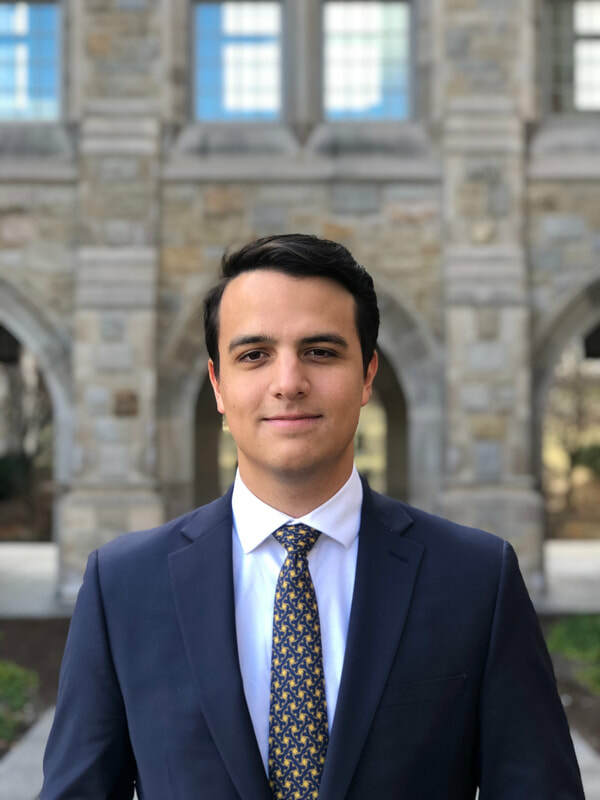 ​Andres Garcia Angulo is a senior at Boston College. He is originally from Caracas, Venezuela but he moved to Weston, Florida when he was 14. At Boston College, he studies both Computer Science and Economics. He has been involved in Model UN since middle school and in EagleMUNC since his freshman year of college. 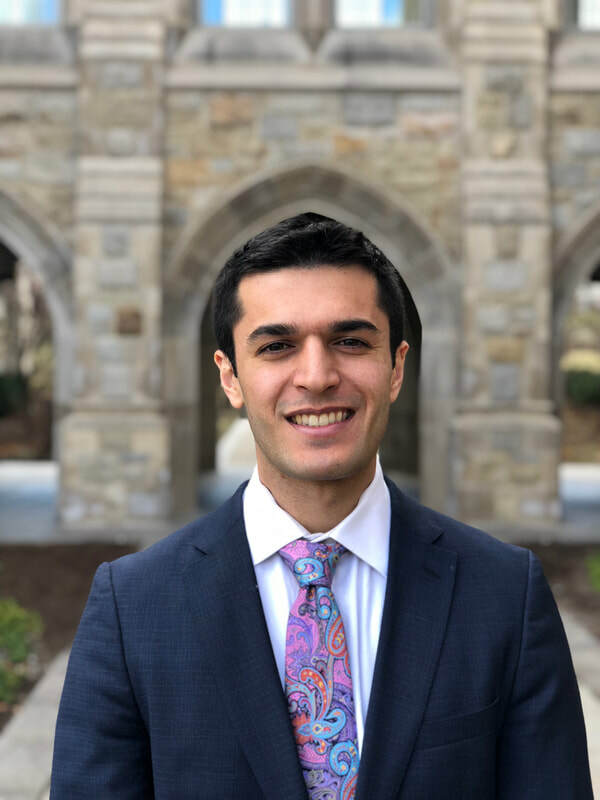 He worked as a simulation staffer for EagleMUNC IV and as the Director of the Mexican-American War JCC for EagleMUNC V. Last year, in EagleMUNC VI, he served as the Deputy Under Secretary General of Public Relations. Andres’ career in MUN extends to our sister organization EGLI. He served as the Director last year and now takes the role of Senior Advisor. Outside of school and MUN he enjoys going to the movies with his friends and learning about the industry. Garrett Byrne is a junior in the Morrissey College of Arts and Sciences, double majoring in Economics and Political Science. He is from Manhasset, New York and has been involved with Model UN since his sophomore year of high school. At EagleMUNC V, Garrett was a simulations staffer for Ad Hoc: Genghis Khan and Lobby Corps. At EagleMUNC VI, he was the crisis director for the Kalmar Union Triple JCC. Outside of EagleMUNC, Garrett is on the Executive Board for BCMUN (Boston College's MUN competitive club) and is in Full Swing (BC's swing dancing club). ​Lauren Healy is a senior studying Political Science and Classics in the Morrissey College of Arts and Sciences. She is from Denver, Colorado, and loves spending time outdoors and hiking. Lauren was Deputy Under Secretary General of Administration last year and is looking forward to acting as Chief of Staff for EagleMUNC VII. Outside of Model UN Lauren loves to run, explore Boston, and find the best mint chocolate chip ice cream. 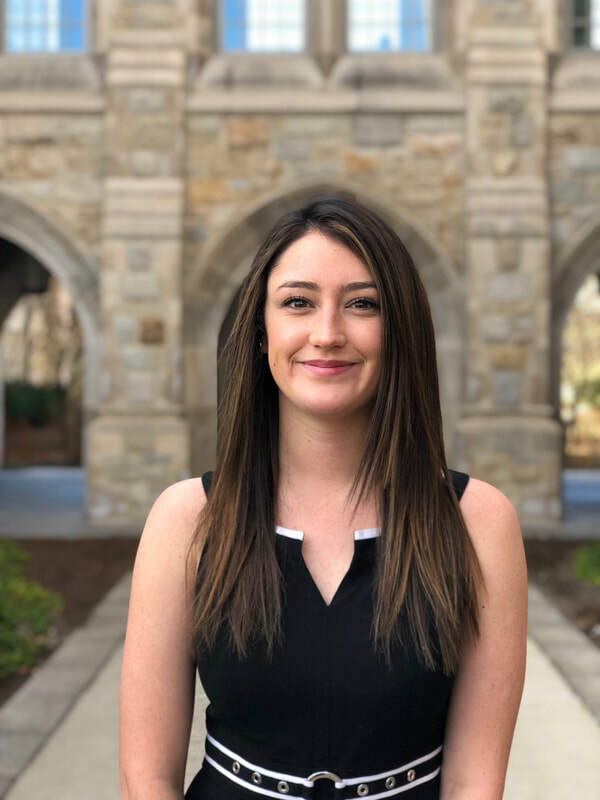 Katie Stepsis is a member of the Carroll School of Management class of 2019 where she is double concentrating in marketing and business analytics as well as minoring in history. 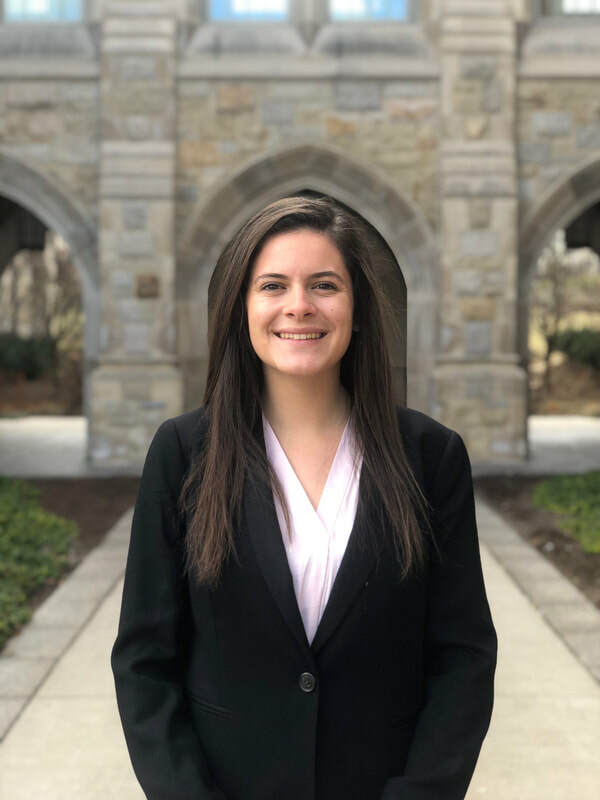 She is from Fairfield, Connecticut and is so excited to be the USG of Finance for EagleMUNC VII. She became involved with Model UN her sophomore year at Boston College after hearing about it from her friends. 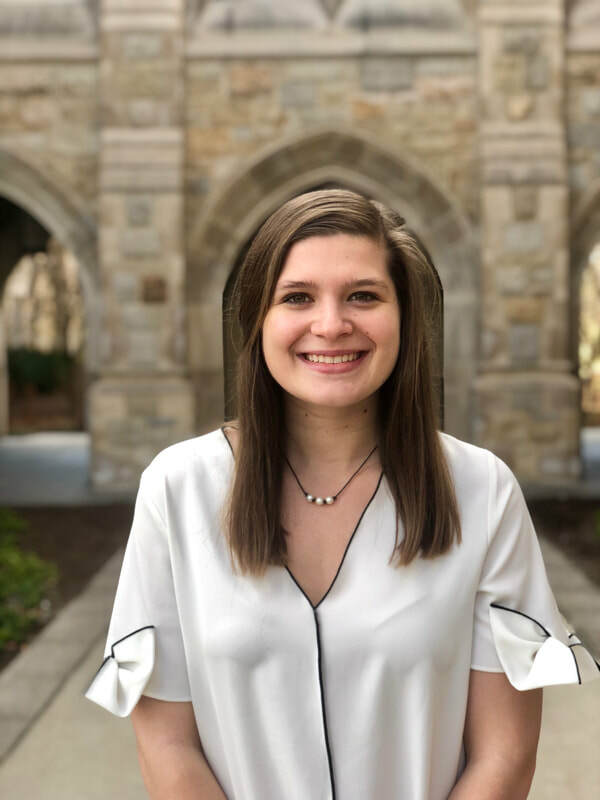 She has been involved with the finance team since sophomore year and was a co-chair during EagleMUNC V. Besides Model UN, Katie enjoys extraordinarily long lunches with friends and cheering on her favorite sports teams. ​Lauren Pacewicz is a senior in the Morrissey School of Arts and Science Honors Program studying Computer Science. She is from Dallas, Texas and has been involved in EagleMUNC since her sophomore year. She worked as Deputy Under Secretary General of Administration in EagleMUNC VI and is currently the Under Secretary General of Public Relations for EagleMUNC VII. In her free time, Lauren likes hiking, skiing, exploring bookstores, and playing with her black labrador puppy. On campus, she is a part of the Women’s Club Ultimate Frisbee team and co-president of Boston College charity: water. Caroline is a senior in the Morrissey College of Arts and Science pursuing a degree in Environmental Studies and Economics. Originally from Connecticut, Caroline grew up in Toronto, Canada and Houston, Texas. Continuing from her high school career in Model UN, Caroline has been a member of EagleMUNC since her freshman year and brings experience and enthusiasm to her role as Under Secretary-General of Administration for EagleMUNC VII. When not in the library or coordinating EagleMUNC logistics, you can usually find her on the field practicing with the Women’s Club Ultimate Frisbee Team.